Includes: Fluke 6200-2 Portable Appliance Tester, User's manual on CD, Quick reference guide, Hard carrying case, Test lead, Test probe, Crocodile clip, Mains cord. The Fluke 6200-2 PAT tester is a low weight, small size, one-touch solution with redesigned auto-test capabilities to help you increase the number of portable appliance tests completed each day. The 6200-2 is designed to enable you to work faster without compromising safety - yours or your customer’s. 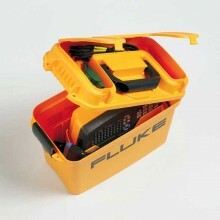 This PAT tester has Fluke’s traditional ruggedness to be able to withstand working in the field. Packed with all the features you need for testing portable appliances, a Fluke PAT tester is a complete all-in-one solution. The 6200-2 can perform all the tests required for Class I and Class II appliances and conforms to safety standard EN61010. All features for manual tests and low volume applications are accessible from the front panel. Dedicated key for each test for ‘one-touch’ testing. Pre-set pass/fail levels to save time. Large backlit display for easy reading. Single mains socket for appliance connection. Separate IEC socket for easy mains/extension lead testing. 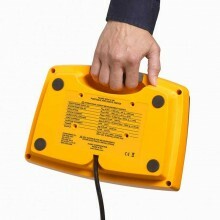 Detachable test leads for quick field replacement. USB port for data transfer. Display Range 90 V to 264 V.
Accuracy at 50 Hz ± (2% + 3 counts). Input Impedance > 1 MΩ // 2.2 nF. 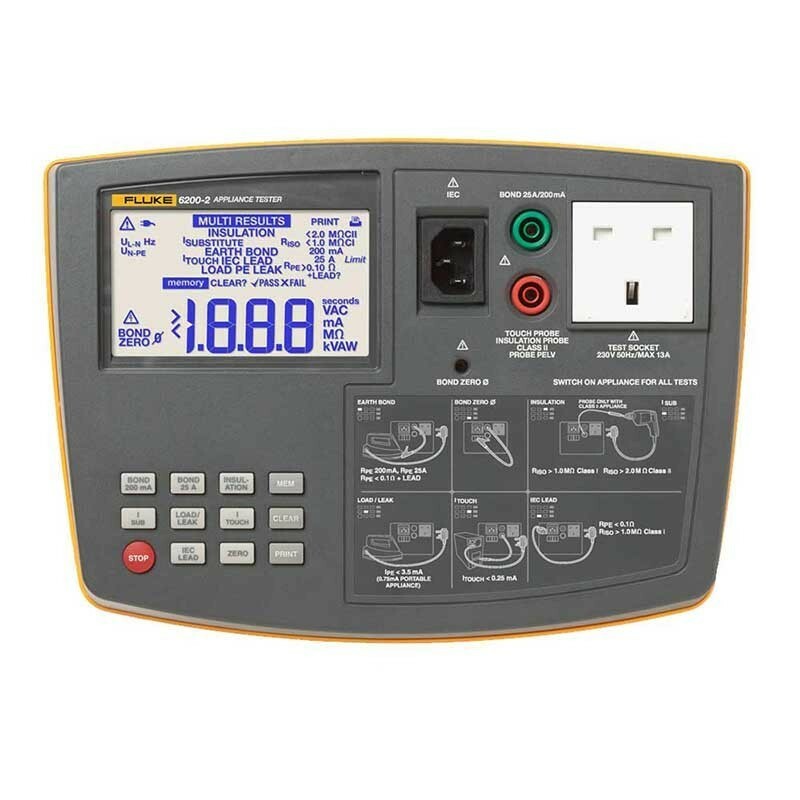 Maximum Input Mains Voltage 264 V.
Display Range 0 to 19.99 Ω . Accuracy (After Bond Test Zeroing) ± (2.5% + 4 counts). 25 A AC ± 20% into 25 mΩ at 230 V.
Open Circuit Voltage > 4 V AC, < 24 V AC. Bond Test Zeroing can subtract up to 1.99 Ω . Display Range 0 to 299 MΩ. Accuracy ± (5% + 2 counts) from 0.1 to 300 MΩ. 1 MΩ (200 to 299 MΩ). Test Voltage 500 V DC -0% + 10% at 500 kΩ load. Test Current > 1 mA at 500 kΩ load, < 15 mA at 0 Ω. Auto Discharge Time < 0.5 s for 1 μF. Max. Capacitive Load Operational up to 1 μF. Display Range 0 to 1.99 mA AC. Accuracy ± (4% + 2 counts). Internal Resistance (via Probe) 2 kΩ. Display Range 0 to 19.99 mA AC. Accuracy ± (2.5% + 3 counts). Test Voltage 100 V AC ± 20%. Display Range 0 A to 13 A. 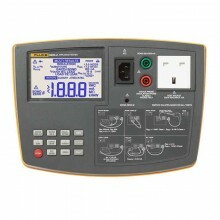 Display Range 230 V Mains 0.0 VA to 3.2 kVA. Accuracy ± (5 % + 3 counts). Resolution 1 VA (0 to 999 VA), 0.1 kVA (>1.0 kVA)*. Display Range 0 to 19.99 mA. Accuracy ± (4% + 4 counts). 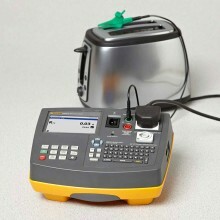 *The appliance under test is energised at mains potential. Operating Temperature 0 to 40 °C. Power Supply 230 V +10 % -15 %, 50 Hz ±2. Sealing IP-40 (enclosure), IP-20 (connectors). Dimensions 200 mm (L) x 275 mm (W) x 114 mm (H). 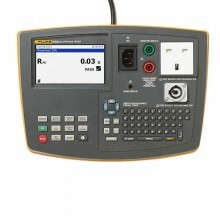 Fluke 6200-2 warranty 2 years. 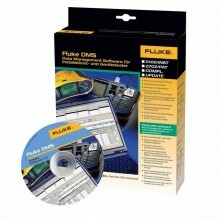 PDF Specifications of the Fluke 6200-2 & 6500-2 Portable Appliance Testers.